I struggle at times in trying to explain why I like a book. 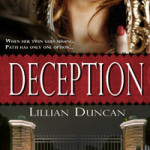 When I first read Lillian Duncan’s Pursued, I knew I would like her as an author. She just confirmed it with Deception. At the beginning of the book, Patti takes a phone call from a little girl who is frightened because her mommy isn’t home. I almost put it down. This broke my heart. I cry through passages of books on a regular basis, but I don’t voluntarily submit to heartbreaking situations. But…I’m so glad I kept reading. 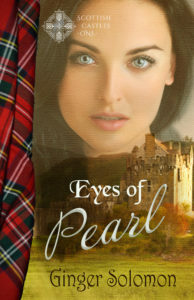 Ms. Duncan used the right amount of intrigued and romance to keep me interested throughout the novel. Life changes drastically for Patti after that phone call. She’d forgotten the love she once had for her twin. A misunderstanding caused a rift that neither sister was willing to repair. But that one phone call from a scared little girl started a cycle of events that reminded her that family is more important than anything on earth. She responds by embarking on a journey to save her sister. It involves danger and a very handsome sergeant. Two words to describe this work: Well done. 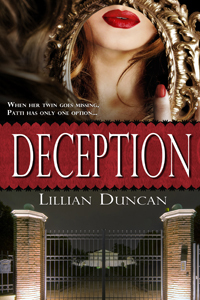 If you like romantic suspense, you will LOVE Deception. Please click here if you would like to purchase this book. By doing so you help support this blog. I’ve never heard of either of these – off to check them out now! I love RS!